When scouring the Iron Lung Records website, one is first greeted by their easily recognizable logo and the definitive mantra “We know what we like and what we don’t like.” Point well taken when considering that last year the Seattle label put out Total Control’s Henge Beat, easily one of my releases of the year, not to mention the fantastic Still Cruising LP by Philly’s Slices and the recently disbanded** Walls’ The Future is Wide Open. So when they declare, “We know what we like and what we don’t like,” it’s hard to argue. Which brings us to one of their latest releases from Melbourne’s Useless Children. Post Ending // Pre Completion, which follows 2010’s layered “Skin” b/w “Nameless” 7”, expands the band’s nosiey repertoire into total dystopia—moving with such a ferocity as to almost terrify—an unrelenting anxiety that is both empowering and worrisome. The bipolarity is found in the nature of the songs themselves: tracks like “Walk Away” seem to slow the pace of the album but only in ideology, think psych feedback layered on top of what could potentially be a slow, primal rattling. The other extreme is found in “Stranger,” dependent on heady bass and crushingly aggressive fuzz—the thing that makes a noise band like Useless Children timeless. The album reaches its coda with the violent “Rest My Bones,” a vocal cameo by the earth-shattering Rick feedtime. 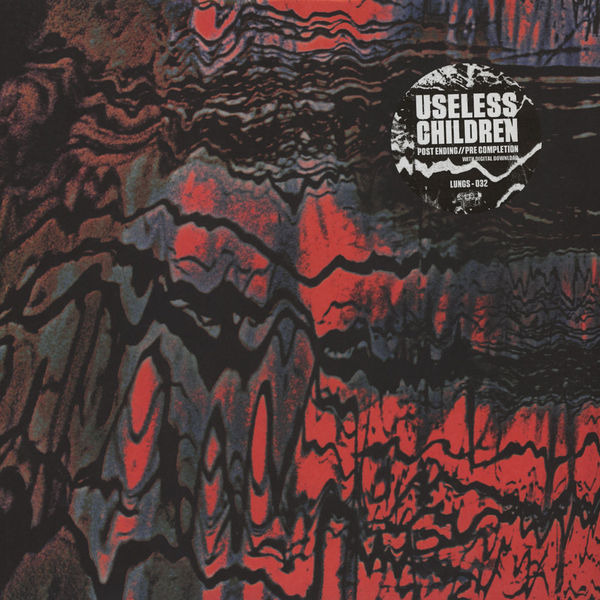 Useless Children's Post Ending // Pre Completion is out now on Iron Lung Records. Maria Sherman is the music director and DJ at WNYU and writes for Billboard and The Big Takeover.